As a female Burkinabe citizen who did a BA in Burkina Faso, a MA in Sweden, and is currently conducting a PhD in Switzerland, I consider myself a part of the international student community most Western universities refer to, whenever they want to prove how diverse they are. From the moment I started my MA, I grew to get used to being part of the “minority”, mostly in terms of gender and place of origin. Being a graduate student in the humanities, I have to admit that the imbalance between male and female students is more and more in favor of women (at least in my discipline, anthropology). It is, however, still true that the further one climbs up the ladder, the fewer women one will encounter. Drawing on my “international student” viewpoint, I would like to contribute to the debate on what it means (and what it takes) to be a graduate student in the 21st century. I will start with my overall appreciation of the Global Perspective Program (GPP), and the lessons learnt from some of the institutions visited in the US. Then I will give a brief comparison of the graduate student’s status in the US and in Switzerland. I will conclude with the perspectives of higher education, in the short and medium term, with an emphasis on anthropology. But first of all, what exactly is a (post)graduate student? Graduate school is often used to differentiate undergraduate level of studies (which generally leads to a Bachelor degree or the like), from a higher level of education (for instance, Masters and, or PhDs). Depending on the countries, the educational systems, and the universities, denominations may vary: while in the US, graduate school oftentimes refers to Master’s or PhD level, in the UK the term “postgraduate education” is used to refer to Mater’s or PhD level. The admission procedure to a graduate school also varies from one system to another: In France for instance (as well as in most former French colonies), having a Master’s degree is the sine qua non condition to fulfill before being granted any opportunity to access the doctoral level, unlike in the US. Defining a graduate or a postgraduate student then largely depends on the educational system the said student studies or works in. For this paper, I identify a graduate student as someone enrolled at a university, and working towards a PhD degree, which can be defined as a post baccalaureate degree that provides specialization in a particular topic, with the culmination being an original scholarly contribution to the field. Taking part of the GPP enabled me to get a better understanding of the higher education in general, and in the US and Switzerland in particular. As an “accidental PhD student” (I applied for several job offers – including PhD positions – right after my MA, and I accepted the first offer that worked out), I had a relatively vague idea of what it meant to be a graduate student, as well as what was expected from me. I had already transited from a rather vertical organization, inherited from the French educational system, in my hometown university, to a more horizontal one in Northern Europe, where I had a hard time calling my lecturers by their first names. Both experiences were instructive in their own way. I realized, however, that being a graduate student had not much to do with one’s ability to thrive or not in horizontal or vertical educational systems. It was rather the ability to accept two main points: Perfection is not the ultimate goal of a research topic, and the tremendous amount of time spent working on a thesis will at best turn out to be a relevant contribution to an ongoing debate in one’s own field of study, but it will rarely change the daily life of the rest of the world. As mentioned above, graduate schools are embedded in the educational system which they belong to. Access to college and higher education in the US is more and more considered as a valuable good, necessary for anyone who would like to have a valuable social status and a long term financial stability, but only accessible to those who can afford it. In Switzerland, having an undergraduate or a graduate degree is rather perceived as a good asset, but not an indispensable one to social recognition and long term job stability. Aside from this difference between the two countries higher education – different approaches to education: private vs. public – the barriers to diversification, in both countries, bear some similarities. For instance, while acknowledging the fact that diversity is an important factor of dynamism and success within most research groups, Northeastern University (NEU) heads of departments are often faced with administrative and, or, immigration issues, when it comes to recruiting non-US citizens. International cooperation can also be hindered by the difficulty of working in different time zones. The discussions held in Swissnex have highlighted the cause and effect relationships between less funding from the US state in higher education, and the inequality growth that exacerbates the division among the “Have’s” and “Have not’s” in the American society. In Switzerland, getting access to funding for higher education is less problematic, when compared to the US. However, with higher education being considered a public good mainly ruled on a cantonal and national level, the source of funding can heavily influence research areas considered or not as priorities. Being mainly dependent on public funding then has the disadvantage of binding universities to follow public opinion, even when it does not suit their agenda. 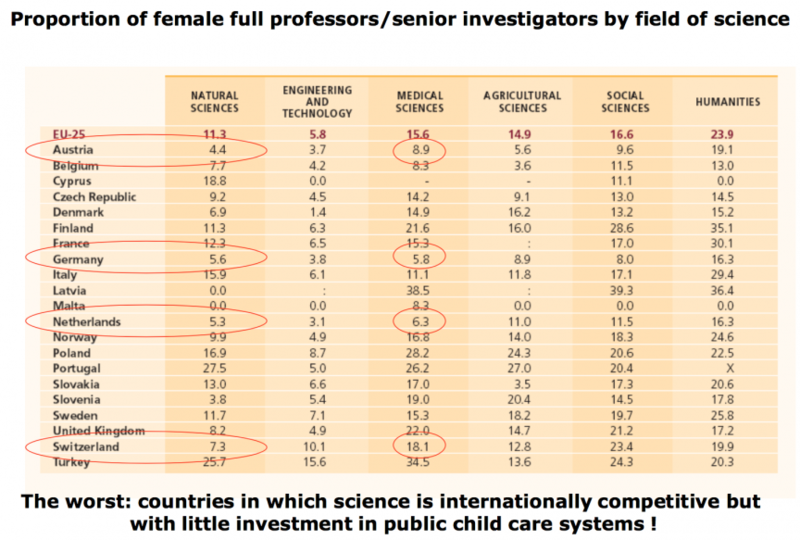 Most Swiss universities have an inclusive policy to reduce the gap between men and women in academia, and diversify their profiles in order to be as attractive and competitive as possible, on the international level. This inclusive effort translates into programs such as Marie Heim-Vögtlin (MVH) grants from the Swiss National Science Foundation (SNF), and Federal Commission for Scholarships for Foreign Students (FCS). Despite all, the majority of international graduate students would prefer to graduate (and eventually get a career) from an American university, even if financially speaking, a graduate student in Switzerland is better off than a graduate student in the US. The competitiveness and quality of US universities have earned them a good reputation worldwide, and having a PhD earned from a renowned US university is still considered as a great achievement on one’s CV. The following sentence from an American PhD student, expresses clearly the ambivalent status of US higher education, regardless of the education crisis: “Our system is messed up, but we must be doing something good somewhere somehow, because everybody wants to come to the US”. Both Switzerland and the US are aware of the challenges faced by their respective educational systems. Measures taken might be more or less efficient, depending on the field of study, but a lot still needs to be done to ensure a bright future for higher education. Progress and results are achieved through constructive debates and enhanced cooperation at the national, regional and international level. In the humanities and in anthropology in particular, the real and international cooperation in my opinion will start once anthropology students from the “Global South” will conduct fieldworks and study cultures, phenomena and populations from the “Western world”. A PhD in anthropology is far from being a “winning ticket”: There are fewer and fewer jobs available in academia and the qualitative research method advocated by most anthropologists is oftentimes too costly and time consuming for NGOs and other institutions that could or would employ social scientists. The solution to this dilemma could be to think out of the box, and reverse the roles of the observer and the observed, in order to have a new perspective and create a new dynamic within the discipline.